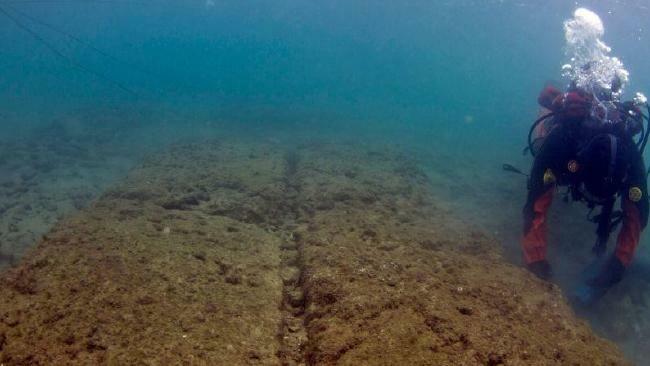 A team of archaeologists found the remains of ancient naval base on the coast of Athens, Greece, which has an estimated age of 2,500 years. In collaboration with a team of Greek, a Danish marine archaeologists, Bjorn Loven of the University of Copenhagen discovered the remains of six ship sheds. These ship sheds are used to protect ships from wood-eating marine mollusk (shipworm). These sheds also protect the vessels from drought while not sailing at sea. The sheds are found in Zea Harbour Project, which lasted from 2001 to 2012. At the website of University of Copenhagen, Loven said his team analyzed the relics of glassware and did the carbon-14 tests on the pieces of wood. As a result, the ship sheds are estimated to stand at around 520 to 480 BC. Not only that. 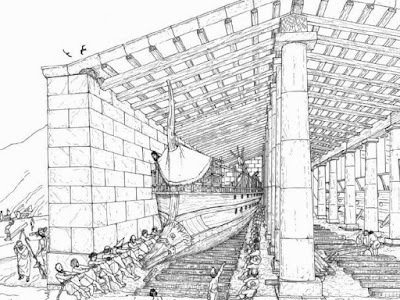 The sheds are also believed to have used to stop by the ships that used the Greek army to fight against the Persians in the Battle of Salami, circa 480 BC. The war between the combined forces of the cities of Greece, led by Themistocles, and the Persian Empire led by King Xerxes. Although outnumbered, the Greeks won, the war that took place in the strait between mainland Greece and the Salami islands. Their struggles have been adapted into a colosal movie titled, "300: Rise of an Empire".